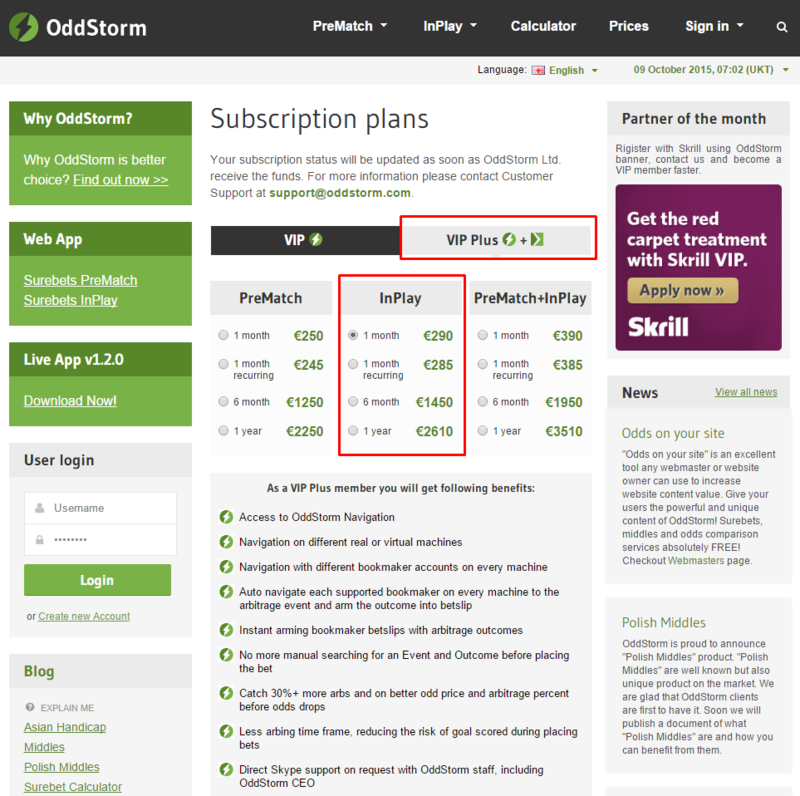 OddStorm is the fastest arbitrage delivery service on the market! 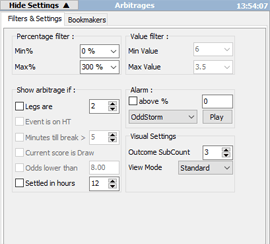 OddStorm software also support unique Navigation that leads you directly to the betting event page with a single click. 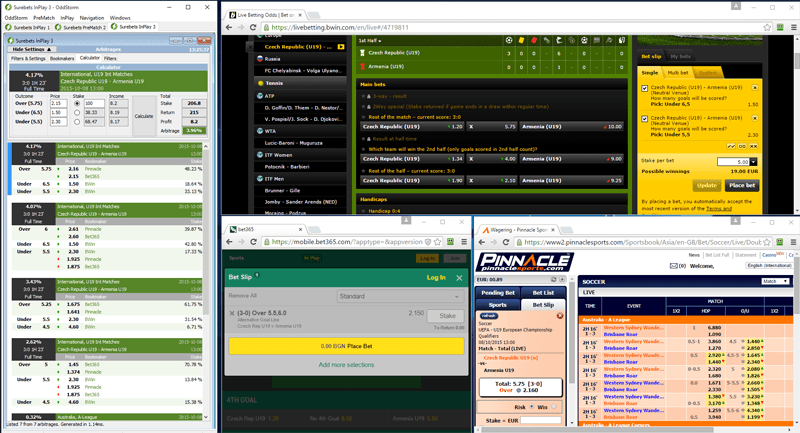 Then all you will have to do is click "bet". 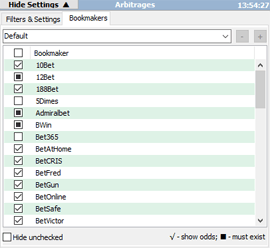 In this view, you will see Main Menu, Tabs Bar, Settings (filters, bookmakers), Arbitrages List and Calculator, Odds History, Additional Filters. 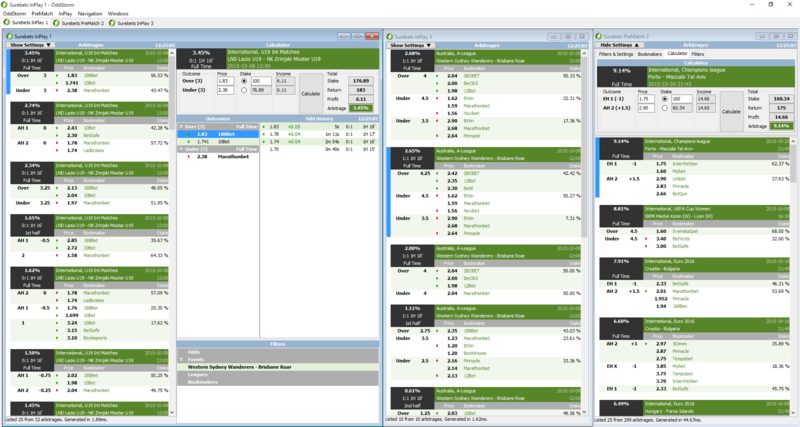 From Main Menu you can open, resize or close Arbitrage Windows (tabs). You can also run the Navigation. From here you can filter the arbitrages and choose between which bookmakers to show surebets. 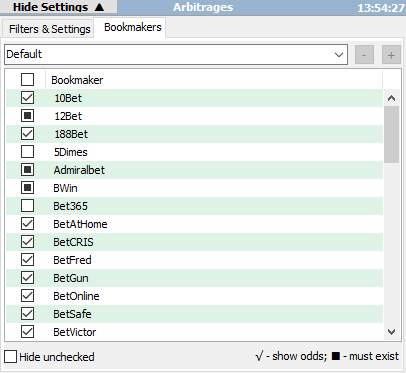 This is the list with the arbitrages shown for the chosen filters and bookmakers from step two. 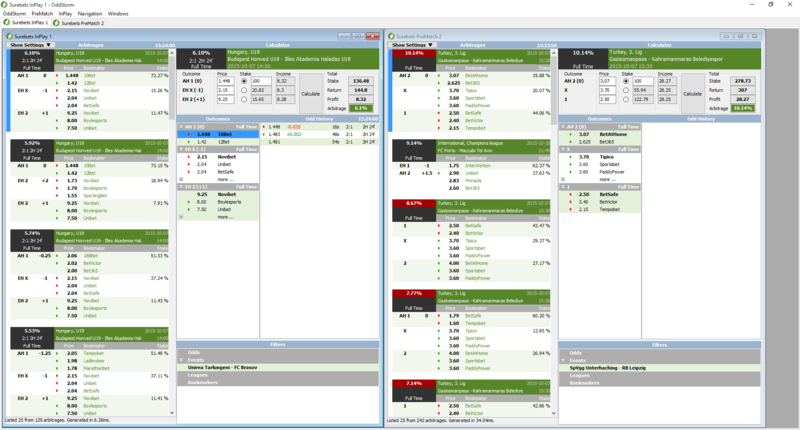 You can also add quick filters by right click or double-click. 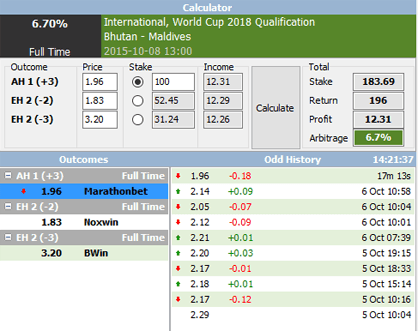 After choosing surebet from the arbitrages list (step three) you will see this calculator where it is shown how much and where you must place the bet. 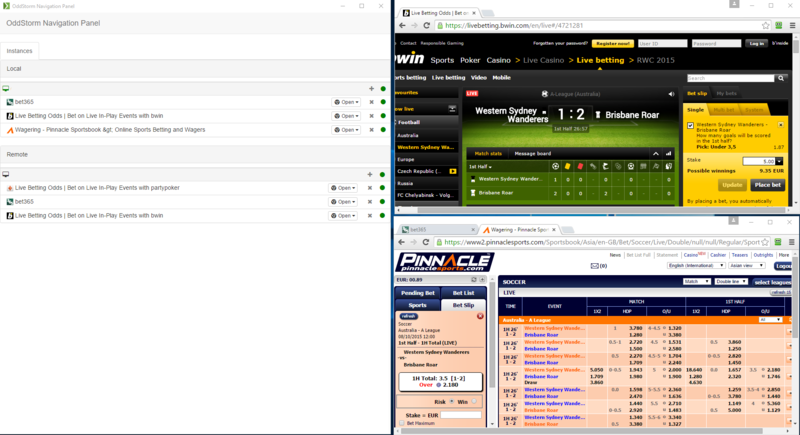 In Odd History you can see the movement of the odds for the selected bookmaker. 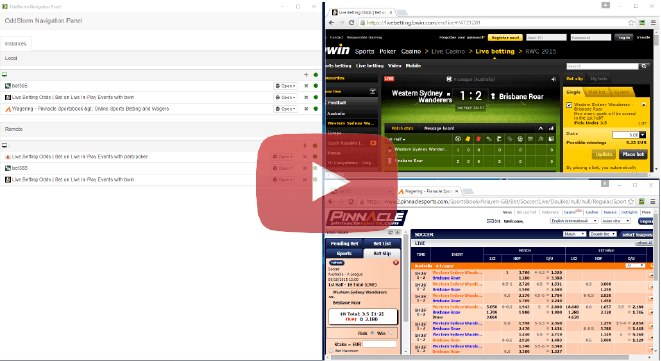 You can also add quick filters by right click or double-click. From here you can see your additional (quick) filters and remove them by double-clicking on it. 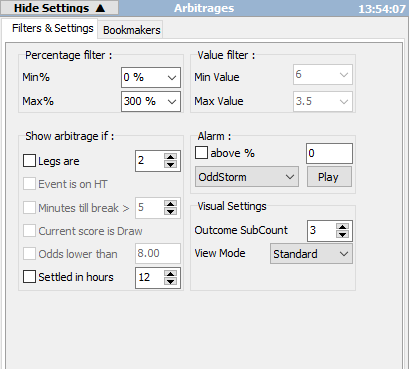 We have prepared special courses for beginners which will help you learn sports arbitrage betting and how to use OddStorm. Posted on: "10 November 2017", by "Iliyan Lishkov"
Last updated on: "24 November 2017"